Experts from the Greek Department of Underwater Antiquities and the Greek Center for Marine Research have discovered two Roman-era shipwrecks almost a mile deep on the Ionian seabed off the islands of Corfu and Paxoi. The ships were found during an archaeological survey that took place between May 11th and May 17th over a 200 square kilometer (77 square mile) area of the Greek continental shelf where a Greek-Italian gas pipeline known as the Poseidon project is scheduled to be sunk. Researchers used side-scan radar to locate potential wrecks that would be damaged or disrupted by the pipeline. Twelve targets of interest were identified. Unmanned submersibles were then used to explore the sites, two of which proved to be ancient and one historic. 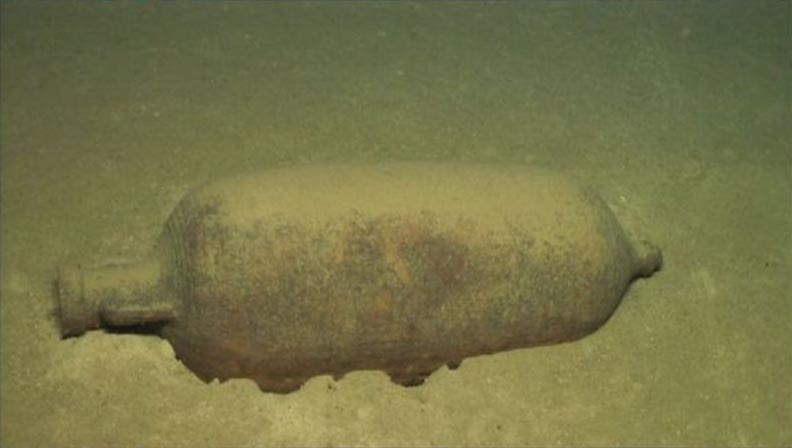 Archaeologists were able to date the shipwrecks from the artifacts recorded and recovered by the subs. The first two ships, dubbed Poseidon 1 and Poseidon 2, date to the third century A.D. The last, Poseidon 3, is of more recent extraction, probably the 17th or 18th century. Poseidon 1 was found .7 miles deep. Submersible footage revealed jars, kitchenware, two anchors, North African amphorae of various types, ballast stones and traces of the wooden hull. 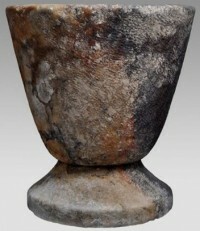 Some of the artifacts were recovered from the wreck, including a marble vase about 12 inches in height. 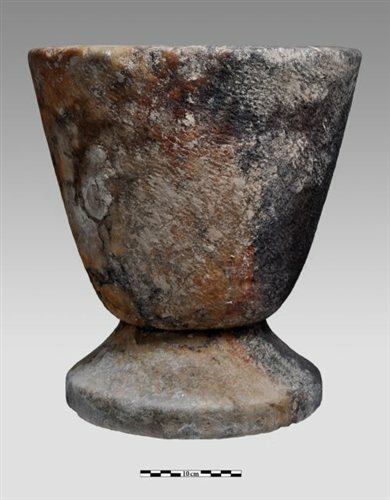 The amphorae suggest the ship may have originated in North Africa and was on its way to Greece after a stop in Italy when it sank. Poseidon 2 was found about .85 miles deep. Footage of the wreck showed a range of cargo, including vases, plates, cooking utensils, metal objects and again ballast stones and what appears to be a piece of the hull. None of the artifacts were able to be recovered, however, because they were too well-embedded in the mud of the seafloor for the submersible to remove any without disturbing the site. The third wreck is, not surprisingly given its relative youth, the best preserved. It’s .78 miles deep and the sub found the ship’s hull, iron anchors, a wide variety of ceramic vessels — glazed jugs, plates — used for cooking and storage. This is the first archaeological survey conducted in the deep water of the Ionian Sea. The results confirm that ancient oceanic traffic regularly ventured into deeper waters, upending the old conventional wisdom that ancient ships mainly sailed closed to shore. These recently exposed ships are now among the deepest known ancient wrecks in the Mediterranean. 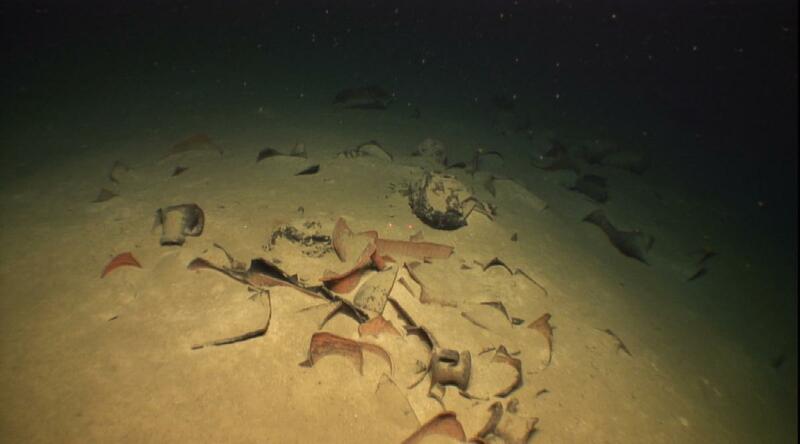 Experts say that sunken ancient ships are generally located at about 100-130 feet deep. It is popular belief that early traders were reluctant to go too far offshore, unlike warships which were freed by ballast and cargo. The smaller vessels did not have the capacity to navigate far from the coast, so that if there was a wreck they would be close enough to the coast to save the crew. A Woods Hole Oceanographic Institution representative has stated that a series of ancient shipwrecks located far from land over the past decade or so has forced experts to reconsider the coast-hugging theory. In fact, these latest finds are crucial hard evidence showing the actual patterns of ancient seafaring and commerce. According to a CBS News report, in many cases — as when winds threatened to push ships onto rocks — ancient mariners made a conscious effort to avoid coastal waters.